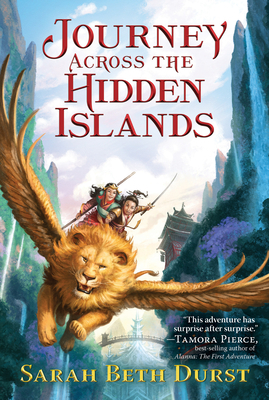 A ritual journey takes on urgent significance as two princesses and their winged-lion companion travel across their island kingdom to confront a dragon in this action-filled, funny, and heartwarming middle grade fantasy from the author of The Girl Who Could Not Dream. Now in paperback! The traditional Emperor’s Journey should be uneventful. But as the princesses Seika and Ji Lin—twin sisters—travel to pay respects to their kingdom’s dragon guardian, unexpected monsters appear and tremors shake the earth. The Hidden Islands are threatened as old rituals fail. With only their strength, ingenuity, and flying lion to rely on, can the sisters find a new way to keep their people safe? "The solidarity the sisters find in each other and the consistent way they choose to put the other before themselves is a refreshing feature of the story. Fans of fantasy adventures starring stalwart teams of loyal siblings will appreciate this, too." "An enjoyable coming-of-age fantasy-adventure that also showcases the deep bond between sisters."